Welcome to the Sigma Psi Chapter of Alpha Kappa Psi, Loyola's Premiere Business Fraternity for Men and Women! Alpha Kappa Psi is the world's oldest, largest, and most prestigious business fraternity. For over 100 years, we have been recognized as the premier developer of principled business leaders. But AKPsi does not stop there. First and foremost, we are a brotherhood. A family. A society of fraternal Brothers that pride ourselves on furthering each others welfare. This defining characteristic is what has separated us from the rest, and has allowed us to build our exemplary strength and reputation over the past century. We are looking for men and women that can continue our fine tradition. Prospective members do not have to be business majors! Alpha Kappa Psi is welcoming of all college majors. For some, excellence isn't an option. It is a way of life. The Sigma Psi chapter of Alpha Kappa Psi at Loyola University New Orleans was founded on May 12, 2001. 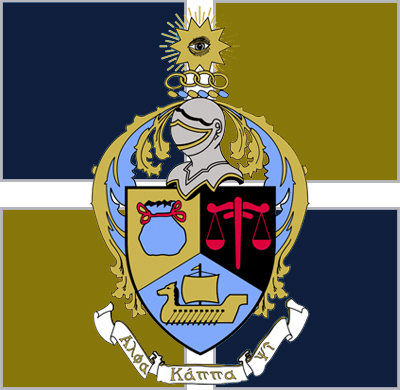 In 1904, Alpha Kappa Psi was founded on the principles of educating its members and the public to appreciate and demand higher ideals in business and to further the individual welfare of members during college and beyond. Alpha Kappa Psi is recognized as the premier developer of principled business leaders. The Sigma Psi Chapter of Alpha Kappa Psi at Loyola University New Orleans was founded on May 12, 2001.